More pedal for you money! Our FAME Pro-Hardware, build in Taiwan by an established Producer who has also been working for years with 'DW' Drums. Special patent details, like the practical Quick Release Fastener for simultaneous Boom-length,-rotation and -angle, adjustment make this hardware series one of the most innovate on the current market. Our nostrum, not only for Professionals but also for Semi-Professionals and Beginner who demand quality and low price!!! This product came as part of a bundle. I was surprised to find out that it is very nice and sturdy, especially when looking at its price tag. I would buy it individually if I were to choose a kick pedal. The response is good and the ability for quick multi-kicks is not limited by the pedal hardware. Although no instructions are provided with the packaging, it is very easy to assemble and adjust. 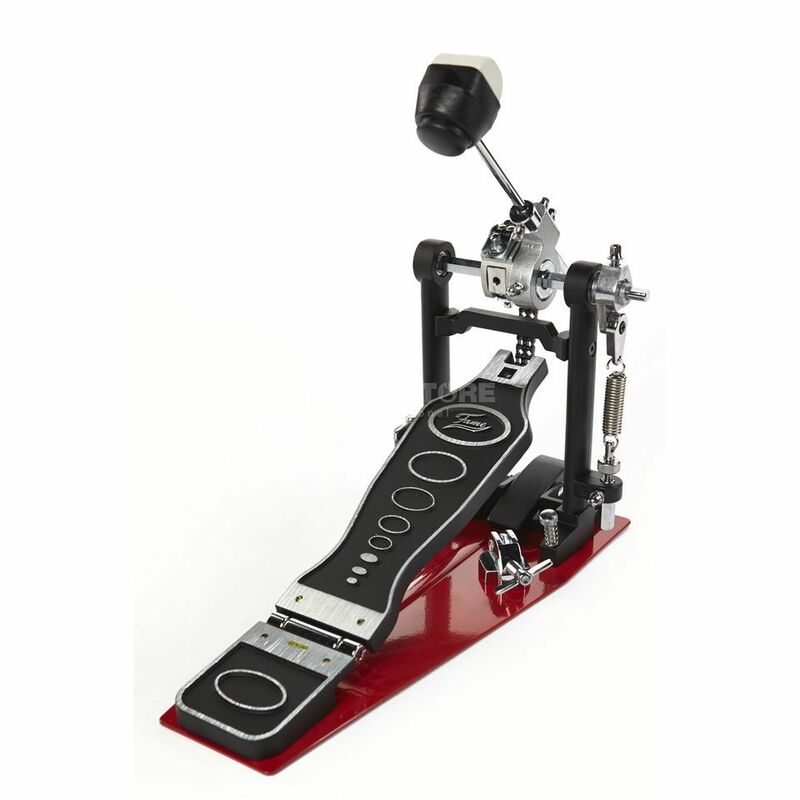 Best deal in bass drum pedals! Seriously, this is a great pedal that will satisfy most players. Highly recommended. Very good quality for the optimal price. Very good quality for the optimal price! Very comfortable! Very silent! Very easy tuning! Very good purchase for our drummer. Our drummer is happy! Thank you, Musicstore!